Good things come to those who wait and Astro, who is taking a different approach to the smart home, will be rolling out their first product mid-May, so they’re staying under the radar, for now. What we can tell you is that the company is taking a contrary view of the connected home and let’s face it: there are 100 million Americans who are renters rather than home owners, and who represent a market for connected devices that can be easily installed – and uninstalled, no hub required. No routers or bloated feature sets, either. 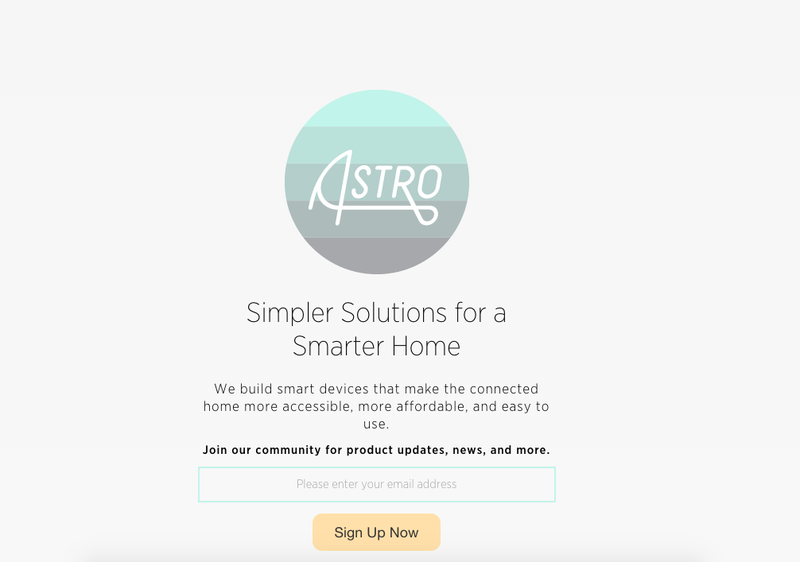 And by taking a simple, uncomplicated – ok, smart – approach to outfitting the smart home, Astro intends to be the brand of brands. And spring is just around the corner.